I’m grateful to have some Live Action to talk about! It always feels like Summer officially begins for me once the band takes the stage for the first time. I’m looking forward to an amazing summer filled with incredible music and ultimately coming to a climax at Lockn! The journey is sure to be a wild one and I look forward to sharing the experience with y’all! All opinions are always my own and I understand we’ll differ on many things and often. May my words always be received in the manner they’re intended, free from malice and always from a place of love and appreciation. I’m glad we have music to talk about so let’s get things underway! I’ll do my best to write a little more if I get the chance but understand that my time is limited. I’ll also do my best to keep the reviews a little shorter than this one in the future but after all, it’s opening night. I’m looking forward to a great few weeks sharing the experiences with all of you! ROCK AND ROLL!!! Enter To Win The 24 Show HD Pass By Clicking Here! Good Luck! Howdy y’all and a big “Welcome” to all the new folks that have registered for the blog. It’s gonna be a wild few weeks of rock and roll mayhem and I’ll be covering all of it, from Mass. to Lockn! I’ll write when I can but most reviews will be by way of YouTube so be sure to sign up for my YouTube Channel to get the latest reports as soon as they’re available! There’s guaranteed to be a ton of laughs and abundant love coming our way! 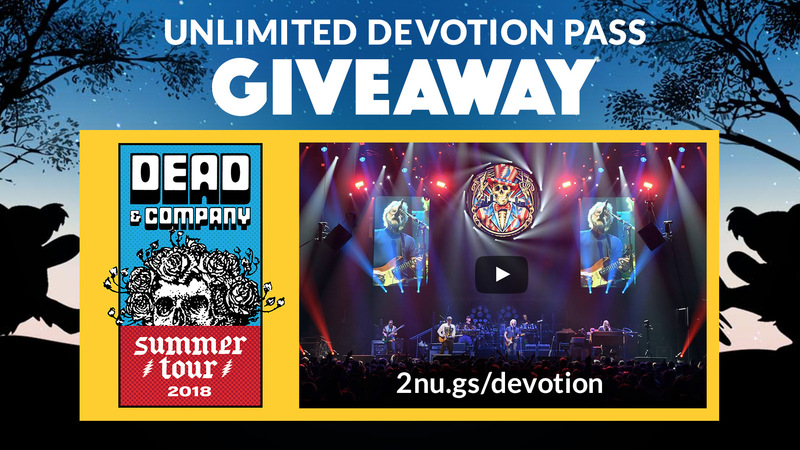 Enter To Win HD Webcasts Of Dead & Co’s Entire Summer Tour!